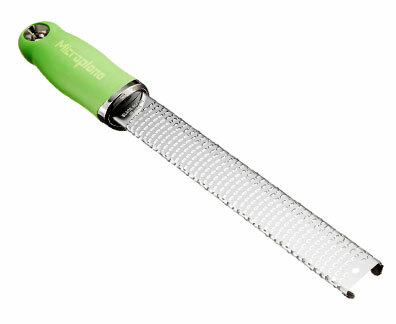 The "gratest" tool in the kitchen! Parmesan cheese falls like snow, with so much surface area that "less is more". But donÕt stop there! Also use to zest citrus, grate ginger, shave chocolate, sprinkle nutmeg, etc., etc.